Contrary to the false impression around wood fuels, the modern green energy industry relies on strategic forest replants and sustainability management. The Ethical Tree Service policy also means that as we manufacture biomass by cutting a tree, several more trees get replanted in its place. The procedure safeguards the annual harvest of only 2% of the regulated woodlands while keeping the other 98% to grow and handle the carbon. As our sensibly sourced wood fuel gradually replaces fossil fuels in the majority of the commercial sector, we observe a rapid reduction of carbon footprint and pollution in the atmosphere. 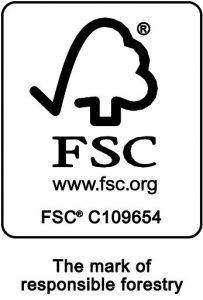 Finally, to ensure the 100% process compliance, we make sure that every single wood batch obtained from our tree service supply-chain originates from forests that conform to the UK Forestry Standard (UKFS). The level of the moisture content will determine the overall calorific value of your fuel. When comparing the price to performance, 20% (+/- 4%) moisture content is shown to be the most effective ratio. If you use fuel that contains more water, you can expect to derive less energy from it, and therefore more wood must be bought and processed. Also, you might not be fulfilling the demands of your RHI duties, which could lead to losing your payments entirely through the use of a highly moisturised fuel against the Emissions Certificate permits. Your central heating meter calculations. Woodyfuel strives to achieve the highest boiler performance – ideally 90% and above at 4 pence per kW/h. 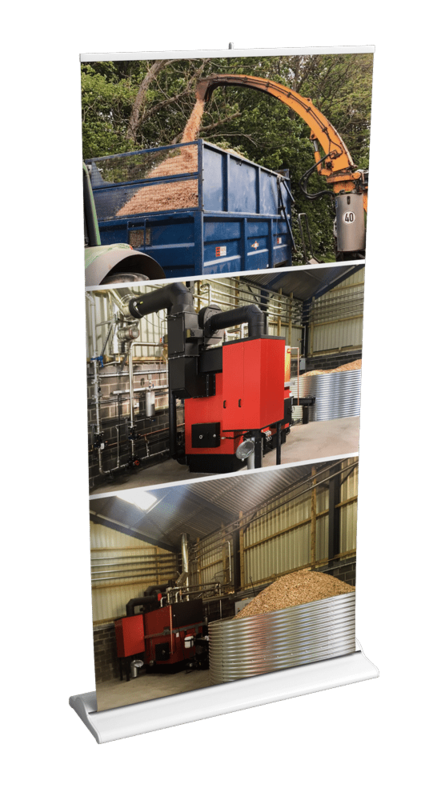 With wood fuel of 20% moisture content (+/- 4% moisture margin) and optimal drying conditions, we achieve a supreme energy yield, reduction in ash and dust byproducts and overall low maintenance of your optimised biomass boiler. In comparison, with fuel at 35% moisture content, you can expect your boiler’s performance drop to 65% effectiveness rendering its increase in consumption costs to approx. 5.23 pence per kW/h. While with 50% moisture content and above you are looking at around 55% efficiency drop out and charge rise to approx. 5.7 pence per kW/h. At the same time, your heating unit will require double the amount of manual intervention and conservation while using approx. 25-30% more wood fuel. That is very unlikely to produce the same return on investment and RHI earnings as with 20% (+/- 4%) moisture content premium biomass. Key benefits of our tree service and biomass. There are many factors that secure a smooth, problem-free and efficient operation of your biomass boiler and your central heating system. When buying a biomass you want to avoid fuel with excess water. Excessive moisture in your wood fuel prevents it from burning efficiently. It also costs more money due to increase in overall weight of the delivery. The ideal biomass moisture content is 20% (+/- 4%). The biomass fuel industry reports significant issues with the overall boiler performance and its running costs if used wood fuel is not optimal to boiler’s specification. The site visit would establish biomass fits in and is appropriate for the unit you are using. Constantly changing fuel quality will impact the long-term productivity of your boiler. Woodyfuel makes sure your biomass is clean, uniform and adheres to your specification. Further, our biomass delivery system secures your boiler’s smooth operation and without disruptions.